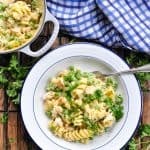 Aunt Bee's Leftover Turkey Casserole with pasta and Cream of Mushroom soup is an easy and comforting dish that takes advantage of the extra meat from your holiday feast -- with just 15 minutes of prep! 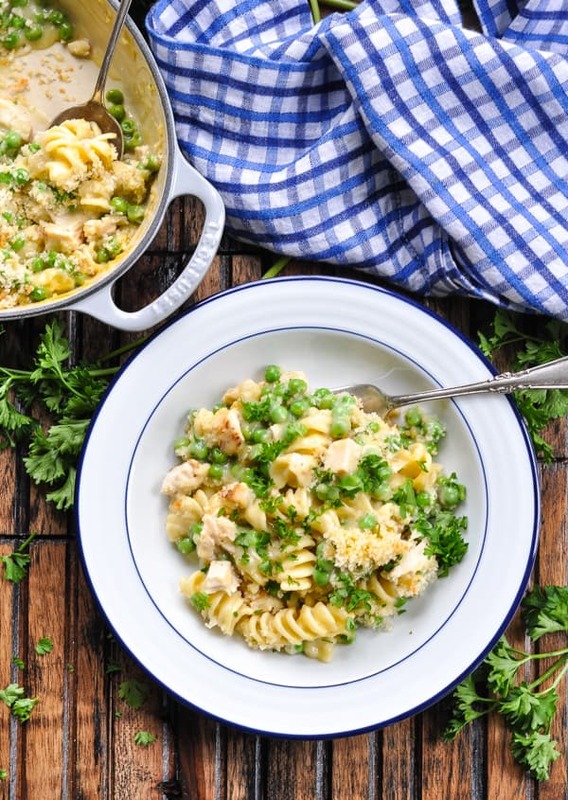 Aunt Bee’s Leftover Turkey Casserole with pasta and Cream of Mushroom soup is an easy and comforting dish that takes advantage of the extra meat from your holiday feast — with just 15 minutes of prep! This healthy dinner recipe is a quick solution when you’re tired of spending a lot of time in the kitchen! I’m happy to invest hours in a big holiday meal — preparing all of the sides, baking a special dessert, and making sure that the table is set. But when the feast is over? I want NOTHING to do with cooking! I’m done! If you’re looking at a refrigerator full of Thanksgiving leftovers, but you don’t want to pull together an elaborate meal, then this leftover turkey casserole with noodles is the perfect solution! 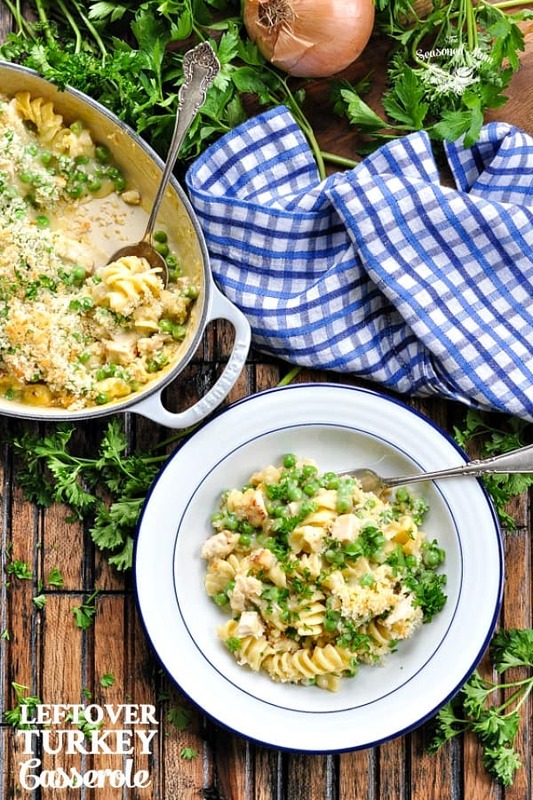 It’s fast, it’s family-friendly, and it’s an entire meal in one pot! This recipe really is SO easy. 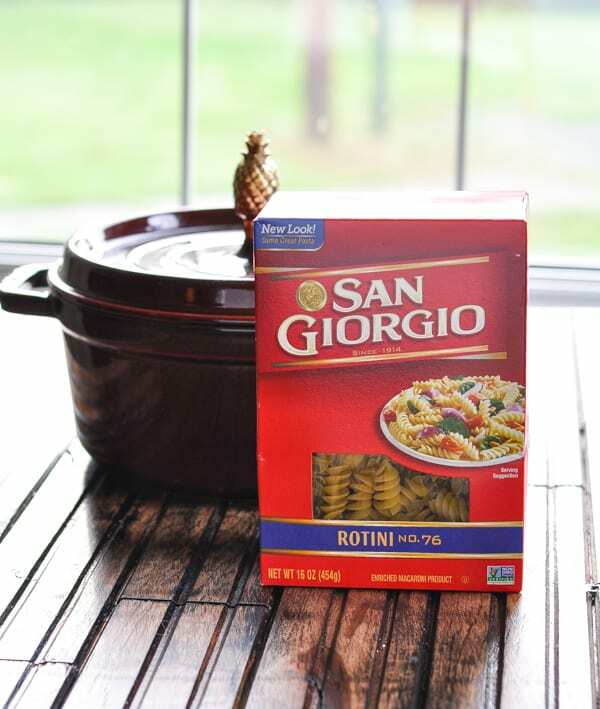 If you can boil pasta, you’re good to go! Simply combine boiled noodles with leftover turkey, frozen peas (no need to thaw them first), and two cans of condensed soup. I use cream of mushroom soup and either cream of chicken soup or cream of celery soup, but you can pick any combination that you prefer. Plus, you’ll add a little bit of milk to thin the sauce. Transfer the turkey mixture to a 2-quart baking dish. And it wouldn’t be a southern casserole without a buttered breadcrumb topping! I used Panko breadcrumbs here, but any breadcrumb that you prefer is totally fine. 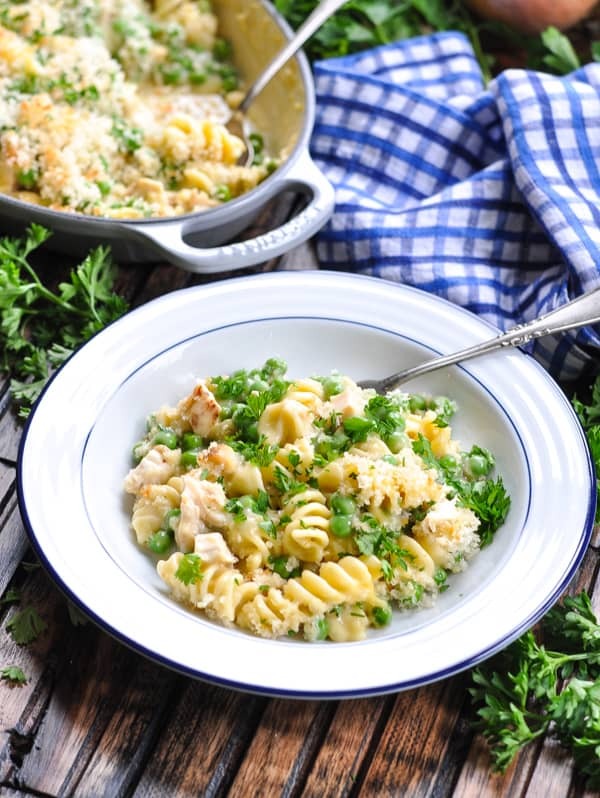 The combination of melted butter, breadcrumbs, and Parmesan cheese adds such great flavor and texture to the top of the dish. Since the turkey and the noodles are already cooked, the turkey casserole bakes in a 350-degree F oven for just 20-30 minutes (or until bubbly and golden brown on top). 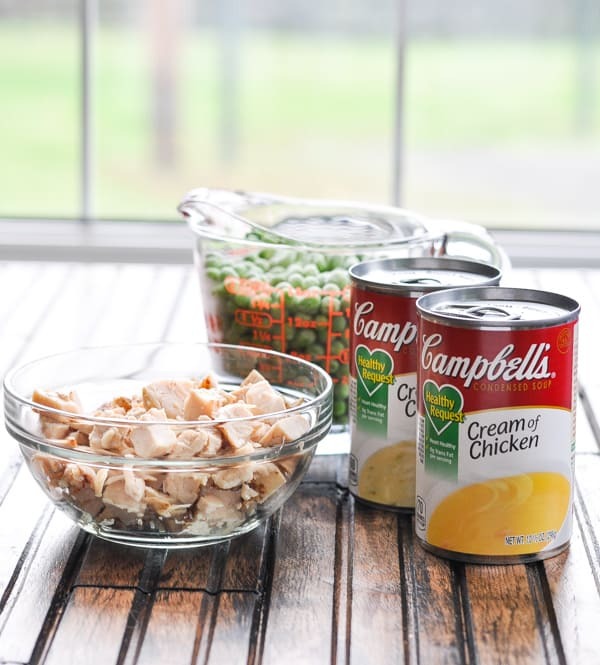 Can you freeze turkey casserole? Yes! 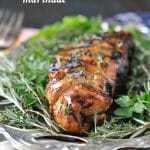 This is a great make ahead dinner! You can assemble the turkey casserole in advance, cover it tightly with plastic wrap and foil before baking, and keep in the refrigerator for up to 1 day, or in the freezer for up to 2 months. 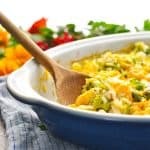 Can you reheat turkey casserole? Absolutely! 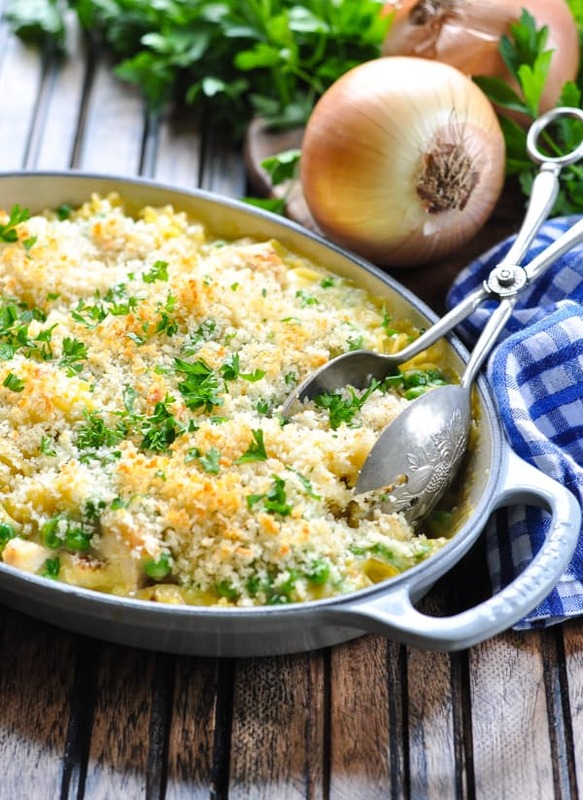 To bake the assembled casserole, simply thaw in the refrigerator overnight and bake as instructed. To bake a frozen casserole directly from the freezer (without thawing): cover with foil and bake at 350 degrees F for about 1 hour (or until heated through). Remove the foil during the final 15 minutes to allow the top to brown. To reheat a turkey casserole that has already been baked: cover with foil and warm the casserole in a 350-degree F oven for about 20 minutes. 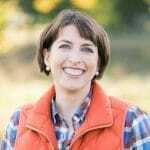 Creamy, hearty, and comforting, Aunt Bee’s Leftover Turkey Casserole is everything that a post-Thanksgiving dinner should be: quick, easy, and delicious! Use cream of celery soup, cream of chicken soup, or cream of mushroom soup — any combination will work! Pick your favorite vegetables! Just make sure that you go with something small so that it cooks in the given time. A bag of frozen mixed vegetables (including corn, peas, carrots, and green beans) would be a nice option. Serving only Two? Use a 1-quart casserole dish and cut the ingredients in half. You may need to decrease the baking time to 15-20 minutes (or until heated through). When the holiday is over, the last thing that any of us will want to do is stand in the kitchen the next day to slave over a hot meal. 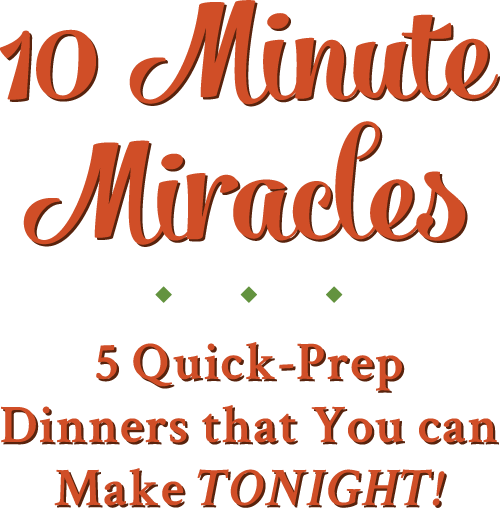 Instead, we need something that comes together in a matter of minutes, that uses common pantry staples, and that the whole family will actually eat. 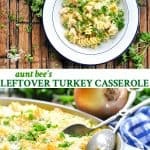 With just 15 minutes of prep, this Leftover Turkey Casserole is Aunt Bee’s answer to your post-holiday blues! Preheat oven to 350 degrees F. Spray a 2-quart (about 8-inch square) dish with cooking spray and set aside. Cook pasta in boiling water until just al dente (about 9 minutes). Drain. Stir in turkey, peas, condensed soups and milk. Transfer pasta mixture to prepared dish. 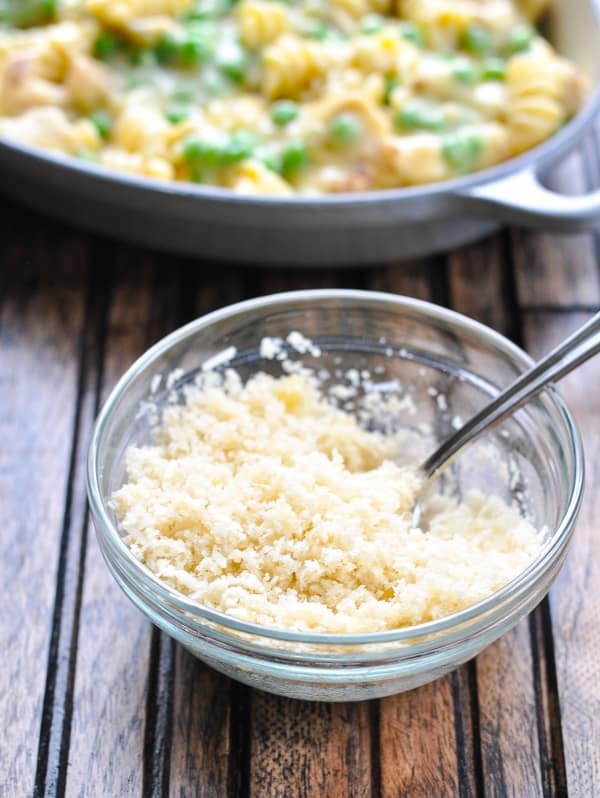 In a small bowl, combine breadcrumbs, Parmesan and melted butter. Sprinkle over top of casserole. Bake, uncovered, for 25-30 minutes, or until heated through and golden brown on top. Use cream of celery soup, cream of chicken soup, or cream of mushroom soup -- any combination will work! This post was originally published in November, 2016. It was updated in November, 2018. Previous Post: « Holiday Gift Guide 2018 — Shopping on Amazon! This looks deliciouss! 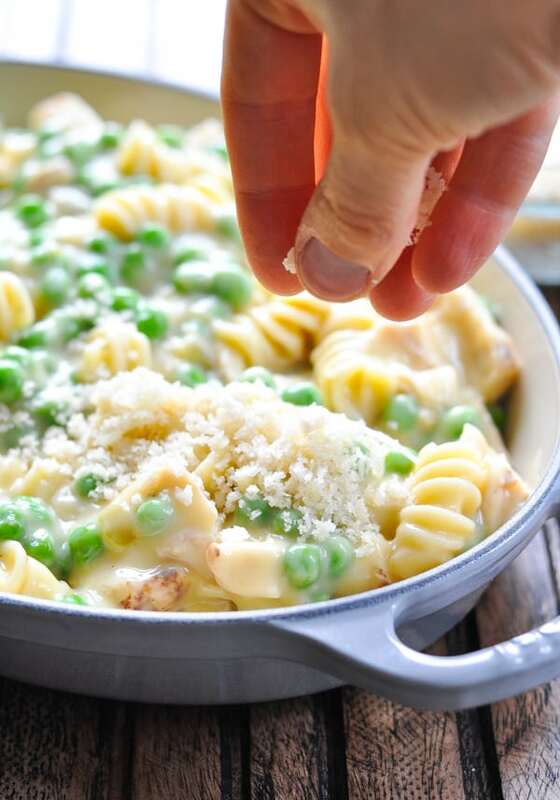 Pasta bakes are one of my favourite comfort food meals and for some reason peas always make them taste better, haha! I agree, Kristy! 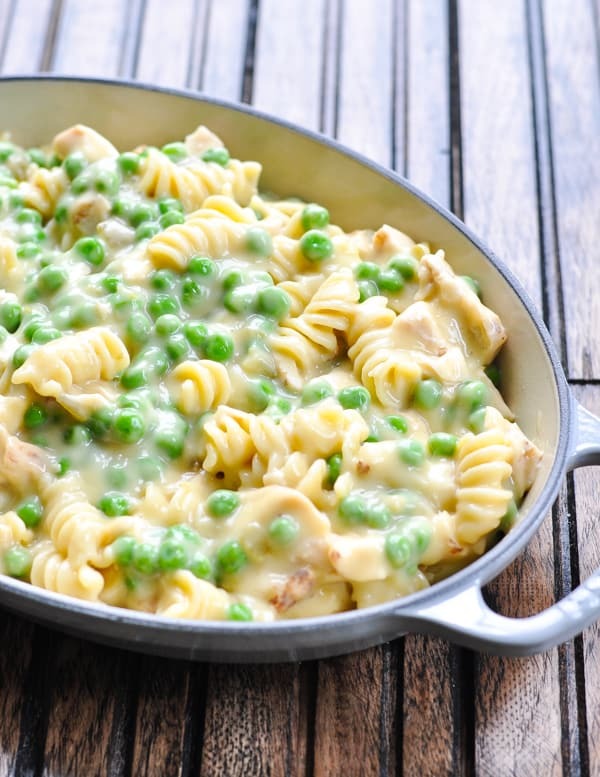 That little bit of sweetness from the peas adds such great flavor and texture! Thanks, friend! What a great way to use leftover turkey from Thanksgiving! 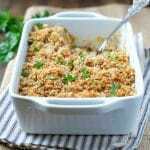 It’s nice to have a versatile recipe like this where you can use whatever veggies you like and leftover turkey or chicken. Another recipe from Aunt Bee. 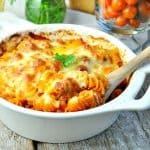 The casserole looks delicious and easy to make. I love all the casserole recipes you post. It’s been a while since I visited and I love the new look on the website. Thanks, Ruwani! The site is brand new, so I’m glad that you stopped by! You said you use two cans of soup but recipe calls for one. Did you double recipe or did you like it with extra soup? Great but needs a bit of black pepper, cayenne pepper, or paprika. Can you substitute frozen vegetables for can vegetables? Would love to make this but I’m trying to control my sodium intake. Do you have a suggestion to replace the cream soups? Even the low sodium soups are still way to high for me. Thanks so much! Hi, Karen! I’ve had a lot of readers use their own homemade condensed soups in this type of recipe. You can google a homemade cream of mushroom soup recipe and pick the one that looks best to you (I know there are many options out there, but I’ve never tried making them myself). If you create your own condensed soup, then you can omit or control the sodium. 🙂 Enjoy!